Feeling lucky? Are you ready to create your Las Vegas bathroom decor? If you love Vegas and you enjoy a bit of gambling from time to time, you might enjoy a Las Vegas themed bathroom. With a Las Vegas bathroom, you can focus on your latest wins or your next trip every single day. 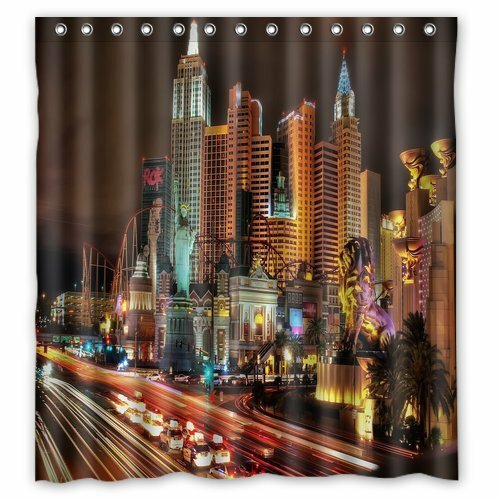 You can choose a gambling shower curtain or one of the scenic Las Vegas shower curtains. Make note of the colors in each as you make your selection. Choose colors that you will enjoy every day. 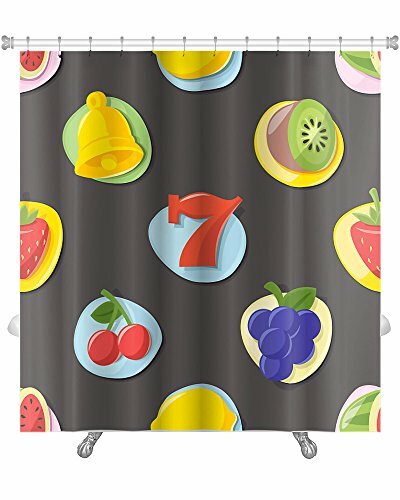 It’s fun to choose a very colorful shower curtain that will allow you to change your bathroom linens whenever you like. 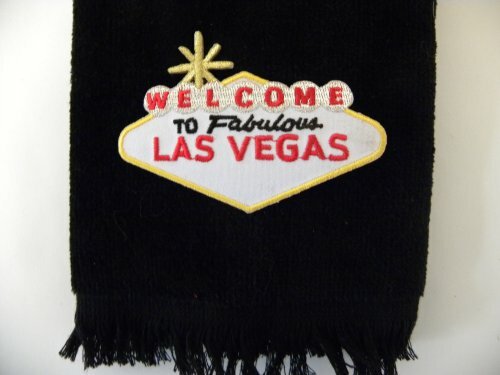 Of course, you will want a few Las Vegas hand towels, especially when you have guests. 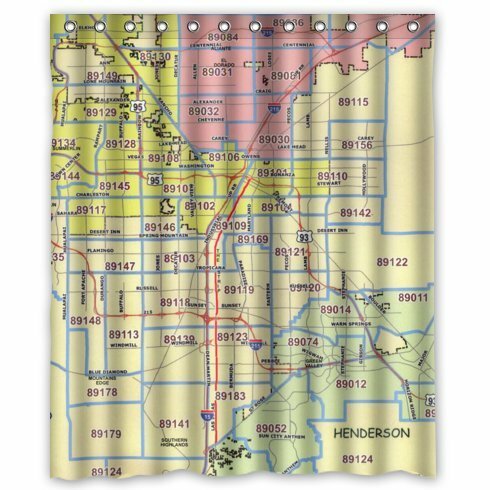 You will want Las Vegas bath towels, too. Consider also adding towels that pick up a color in your shower curtain to continue the theme. If you have monogrammed towels, those will be lovely and luxurious too. With all of the Las Vegas themed items available, it is easy to overdo your theme. 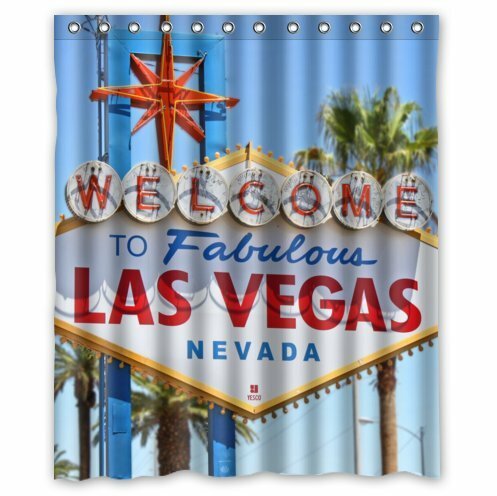 Choose your favorite fun Las Vegas decorative items, buy at least one Las Vegas hand towel, and use your regular bathroom linens for a while. You really don’t need to have Las Vegas written on everything in the room. It is nice, however, to have one or two little hand towels that you can quickly put on the rack for incoming guests. Consider also adding towels that pick up a color in your shower curtain to continue the theme. If you have monogrammed towels, those will be lovely and luxurious too. Fill out your Las Vegas bathroom with accessories that match your new decor. With a bit of time, I found some unusual accessories that will add to your Las Vegas theme. 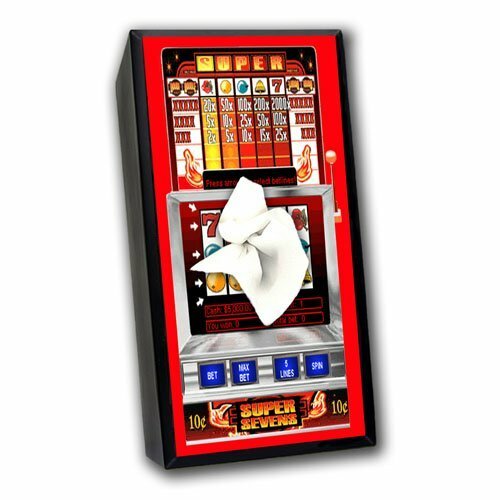 The next time you go to the casino, visit the gift shops, get an idea of items to use in your home, and then search online for best prices for the same items. You can click on any of these items to see even more fun Vegas decor. Remember that these items are great gifts for your gambling buddy. Who goes with you to the casino? Wouldn’t these items be fun birthday gifts for them? Of course, you must have a night light in the bathroom — it might as well be a slot machine, right? Choose a candle with your gambling theme too. If you live far away from the casinos as we do, you want to be reminded of your last trip — and look forward to your next! Happy winnings! The most important thing to remember when you decorate your Las Vegas bathroom? Have fun with it! If it makes you smile, your guests will love it too!